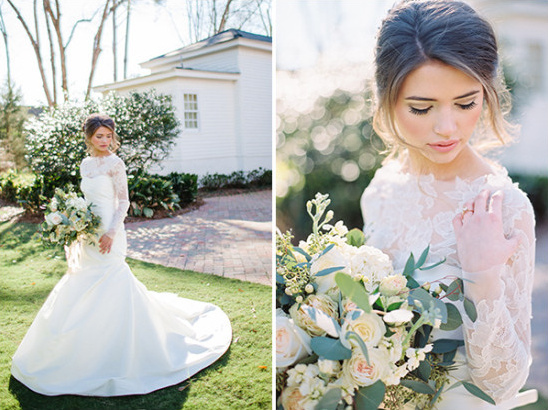 Southern brides, this one's for you! 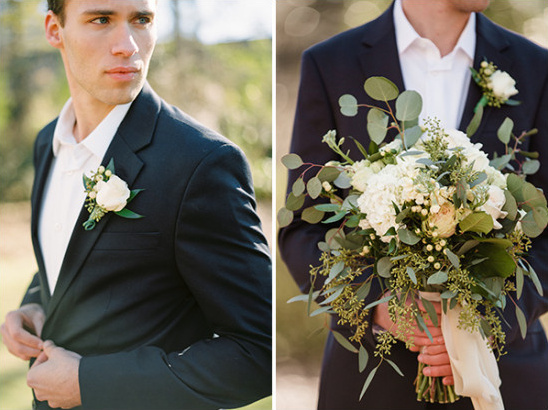 The folks at Invision Events brought together a talented team of wedding vendors to create this southern style wedding inspiration at the historic Pebble Hill plantation house in Alabama. 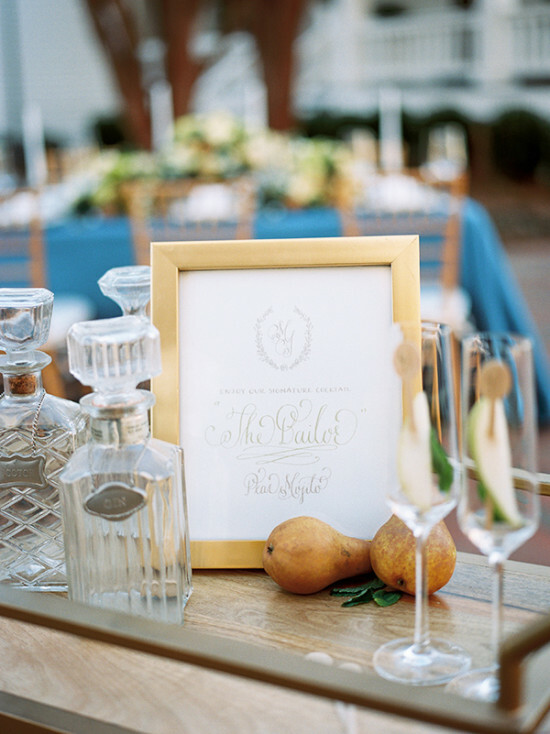 Using a soft color palette with pops of gold, the overall style is a mix of classic elegance and southern charm. 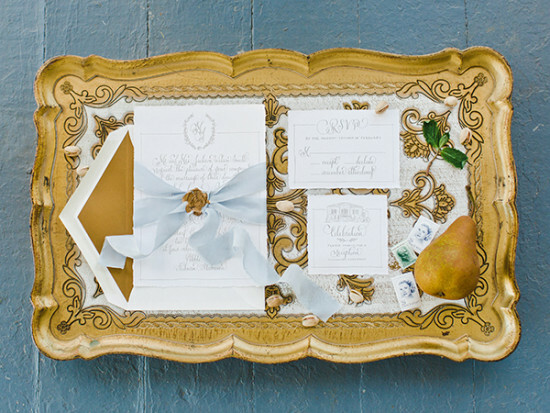 Kara Anne Paper sets the tone of the day with her amazing invitation suite, and that's only the beginning! Feel inspired and check out the full gallery here to see every last image captured by Little Acorn Photography. 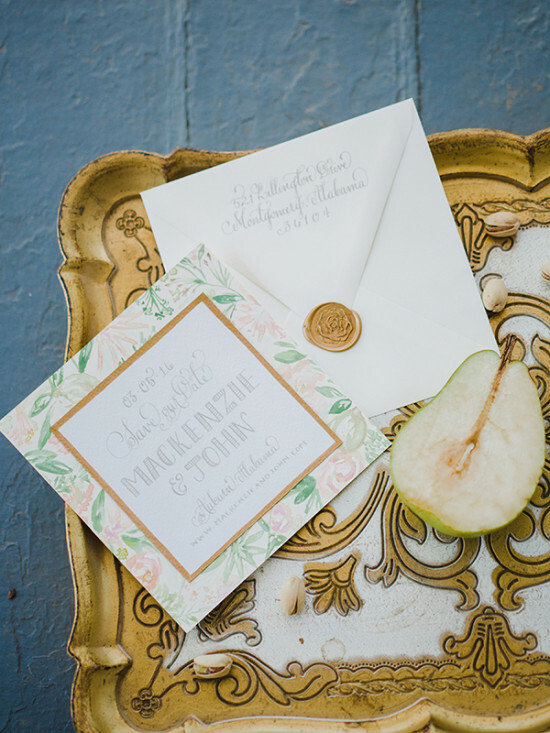 From Kara Anne Paper: This wedding invitation suite embraces a soft romantic color palette with delicate hand drawn calligraphy flowing across beautiful deckle edge paper. 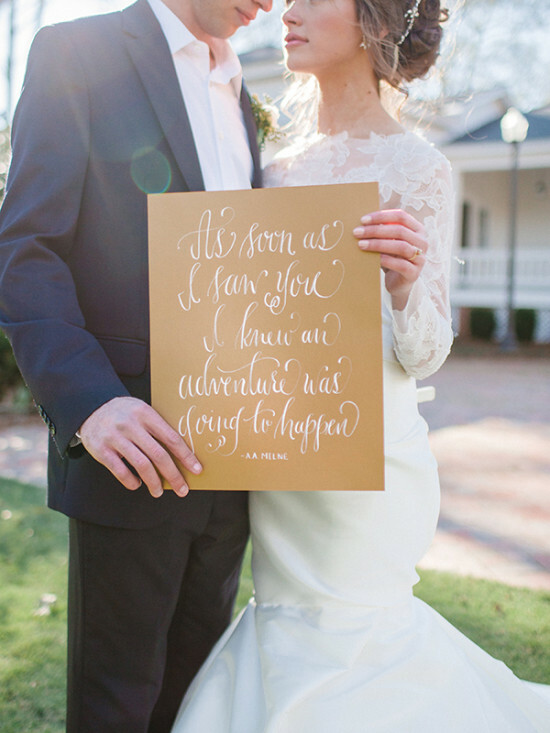 Watercolor paintings were also included on the Save the Date to set the tone for the couples spring wedding. 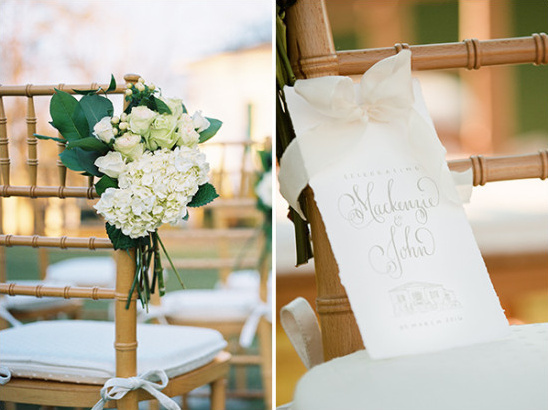 My goal was to create a design that embodies the venue and the couple's personal style. 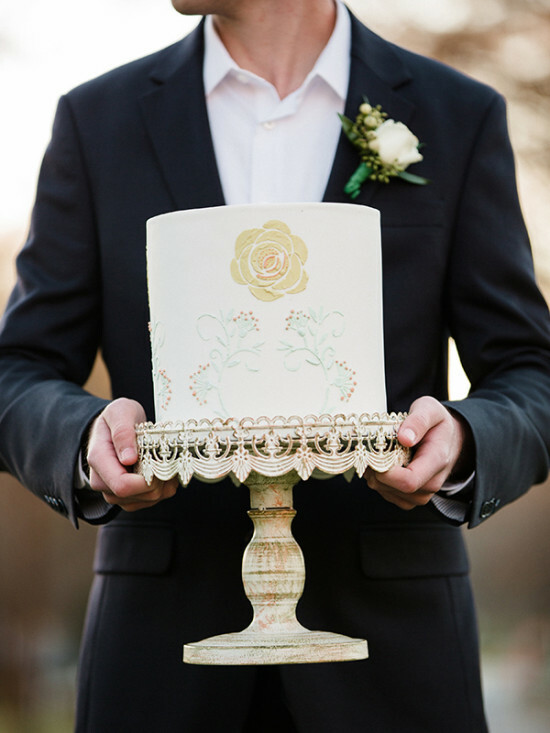 An embossed rose wax seal was the perfect final touch. 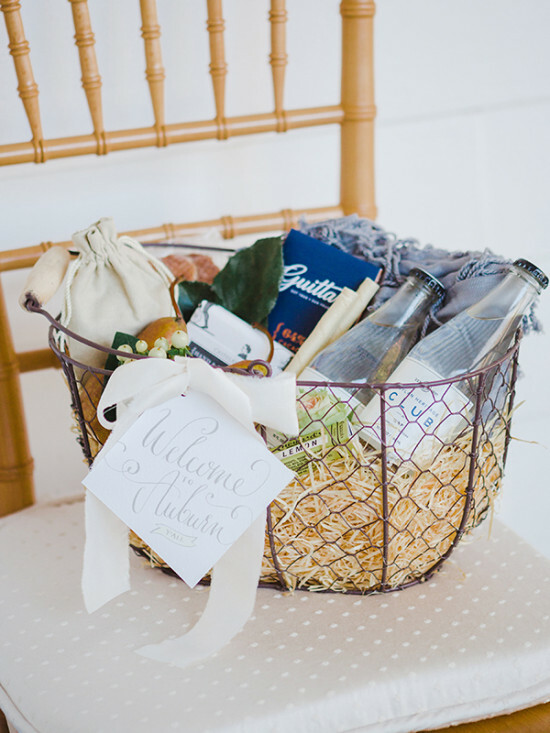 Show your appreciation to your out-of-town guests with a basket or box filled with goodies and treats! 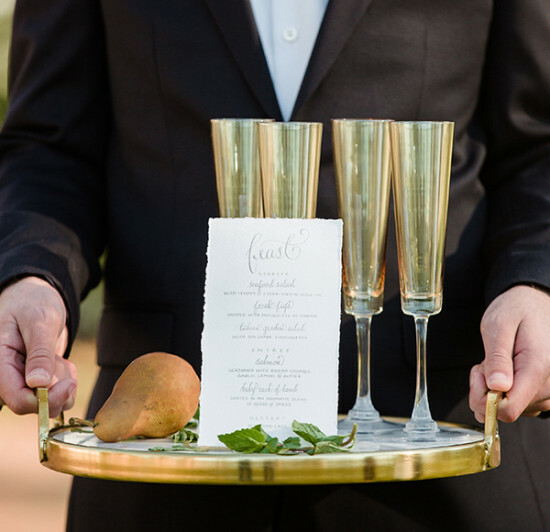 It's that extra special touch that your guests will never forget, and you'll get bonus bride of the year points for going the extra mile. 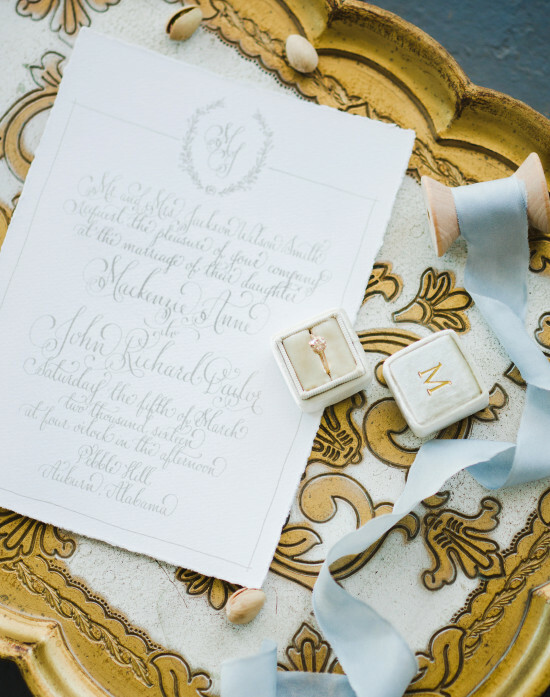 Check out this Luxurious Welcome Wedding Box for some ideas on what to put inside! 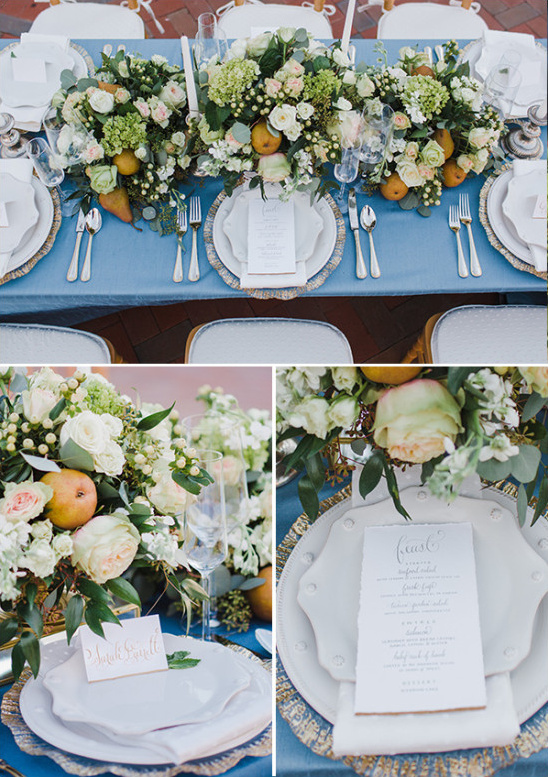 From Invision Events: I had been working with Pebble Hill for months to help them open their doors as an event venue. 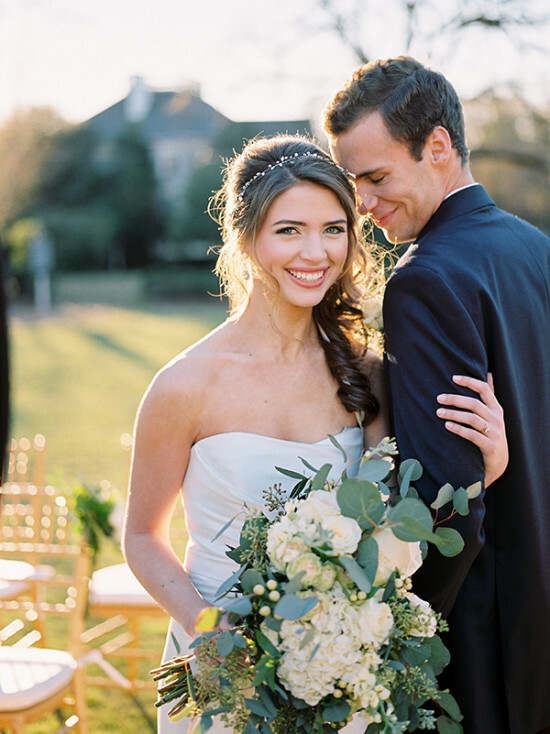 I wanted to style a shoot that would show off the house and grounds in a classic and refined southern style. 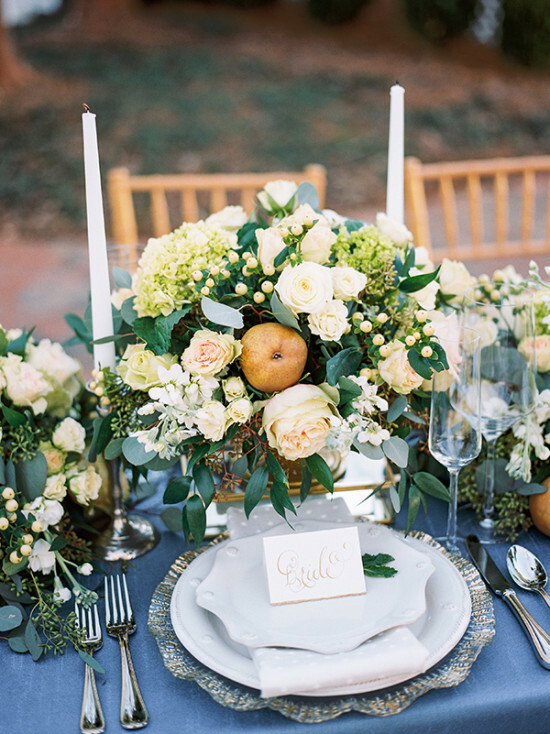 Using a soft spring palette, we accented the patio setting for receptions. 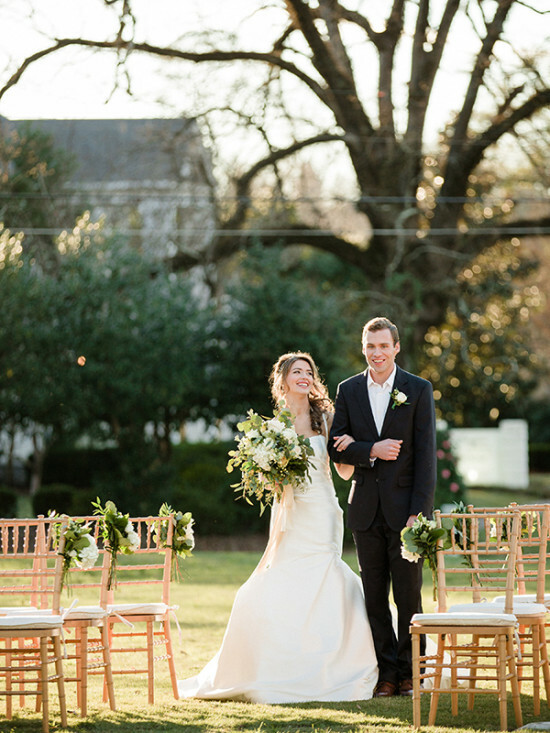 The expansive front lawn makes the perfect setting for a ceremony. 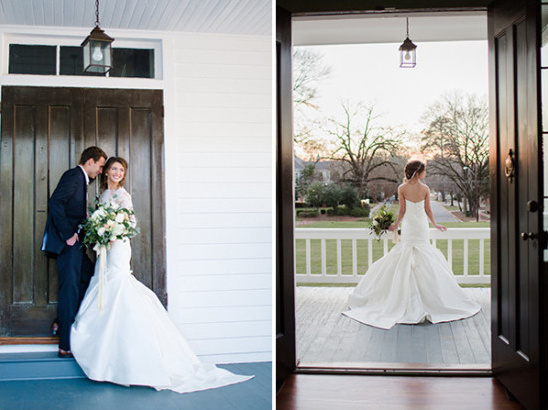 A classic venue with southern style. 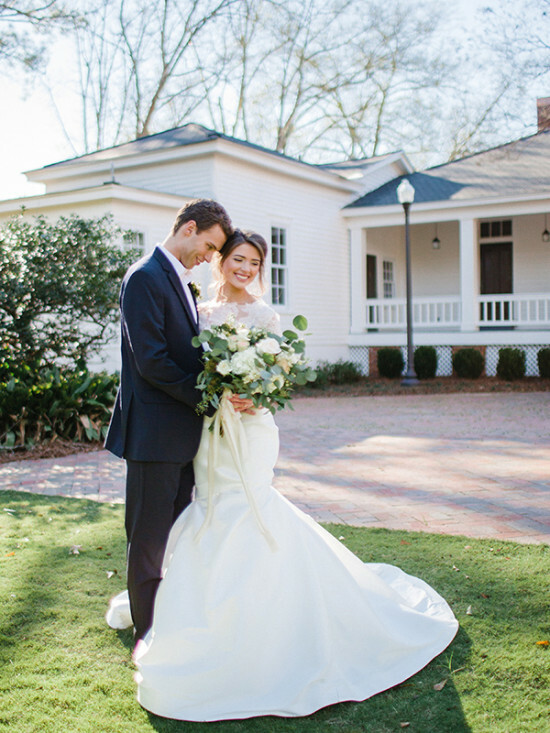 Pebble Hill is a traditional antebellum plantation house that sweeps you away with southern sophistication and offers serenity in the heart of Auburn, Alabama. Part of the original Pebble Hill site, the Scott-Yarbrough House showcases the authentic structure with original wood flooring, stately doors, and a collection of historical antiques.